In 2017, 1,000 people came to Engage to learn how to build better business relationships and transform their businesses. Want to learn how Engage 2017 will deepen your knowledge and help to grow your business? Discover the benefits of attending Engage through the highlights video, session content from our speakers, the Best of Engage 2018 ebook, and popular recap blog posts. Year-over-year, attendees rate Engage speakers and sessions highly: 4.5 out of 5 stars! Now, you can get exclusive access to this top-rated educational content. Get expert advice on how to grow your staffing business, build leadership, and engage top talent from the Engage 2018 speakers’ presentations. 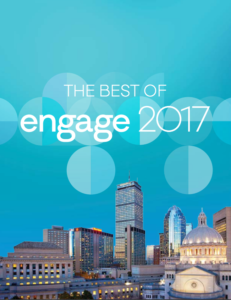 Download the Best of Engage 2017 ebook to get insights from some of the most buzzed-about sessions! 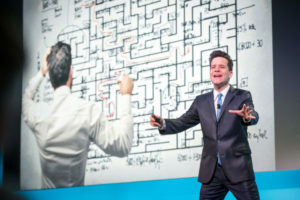 Read exclusive advice from keynote speakers like Ann Dunwoody and Steven Levitt, plus takeaways from some of the most thought provoking sessions at Engage.